Jeff Goodson is a retired U.S. Foreign Service officer. In 29 years with the U.S. Agency for International Development, he worked on the ground in 49 countries in Africa, Asia, Europe, the Middle East and Latin America. 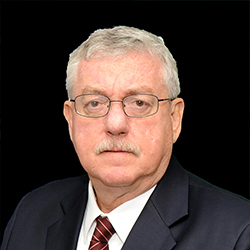 Mr. Goodson writes and lectures on national security, strategic development and irregular warfare. His work has appeared in The Hill, Real Clear Defense, Defense One, the Small Wars Journal, War on the Rocks and other publications. To counter China, the United States and others are creating funding options for developing countries eager to build roads, power plants and other large engineering works. The rise of foreign direct investment as the leading source of development finance has spurred a race for influence in the world's emerging economies that will shape global affairs for years to come.